Darth Malgus - an Old Republic Vader? 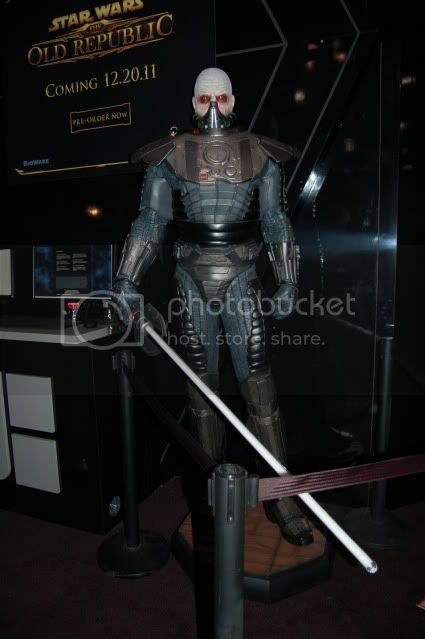 I'm looking at the Darth Malgus figure and he looks alot like Darth Vader minus the upper helmet. If Darth Malgus has the same body damage as Vader, why does General Grevious have to live in a robot suit? General Grevious was suppost to be a prototype Vader. Now we see a thousand years before, the Old Republic had the technology to make a more Vader-like life support system. It seems to me that Grevious should have looked more like Vader with multiple arms. Why did Grevious get the shaft on technology? Did Grevious have a HMO? Re: Darth Malgus - an Old Republic Vader? In the SWTOR cinematic trailers you see some of the backstory in Malgus's injuries. In the "HOPE" trailer he sustained the injuries that led to the breath mask. From looking at the maquette, it seems like everything else is armor. I said something similar in the SWTOR thread and Jesse said his look was purposely made to look like Vader for recognition factor. Yeah, if you look at TOR outside of a fan's perspective, it's basically a ton of "Hey! That looks like ____." moments. Troopers look like Clones/Stormtroopers only maybe "older" to some degree. Less evolved. 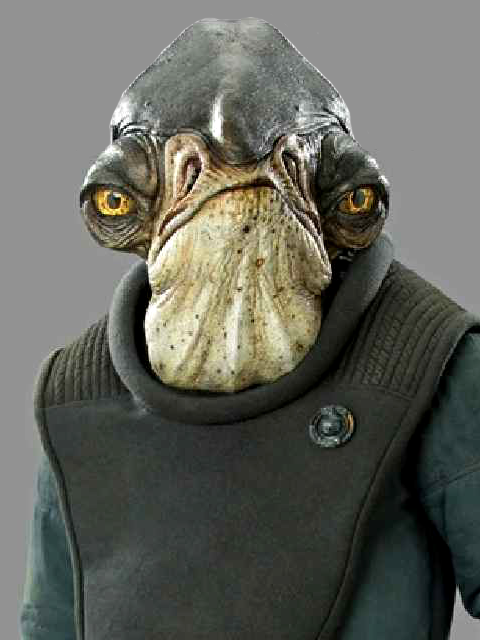 Malgus looks a like like Malak, Vader, or countless other cyborg villains. She Vizla looks like not just Boba Fett, but Boba with long red hair and *******. It's a two-fer there since you cover the "That looks like Mara Jade" crowd, plus you cover the, "That looks like Jango/Boba Fett" crowd. The game's really designed to appeal to the casual Star Wars fan, while still setting it in a way that you can have tons of Jedi/Sith and it still makes sense. KOTOR wasn't really all that different either. The droids look like less evolved versions of R2 or 3PO, there's battledroids that look like bulkier and earlier versions of those in the PT. It's a fun game though. There's definitely been a move towards keeping the feel of the game familiar to OT and PT fans. Jesse mentioned the Republic Troops. The armor is definitely reminiscent of the Saga, and even the faces of the troopers themselves look similar to the Prequel Clones. And in an attempt to appeal to some SW gaming fans I've seen plenty of Sith in the trailers who are wearing masks that would remind you of Darth Revan. So you can see the TOR characters and stuff look older but distinctly familiar... It works well enough to me, as a fan. Enough that at least none of it bothers me, even though things really are clearly meant to be tied to the popular stuff. And TOR really REALLY is fun. I haven't played in a couple of weeks because of life getting in the way but I do plan to get back to it. Whenever I see Darth Malgus, I can't help but see his mouthpiece being made from a repurposed protective cup in the long ILM tradition of using existing earth objects in new ways, eg. 2-1B's microphone mouth, the camera flash rod light saber hilts, etc. Seriously how many kids has this character caused to run around with a jock stap on their head breathing in their older brother's junk funk?